Healthcare spaces unfortunately abound with acoustic problems. There are two main reasons for this. Firstly, there is often a lot of noise made by different sources, including; equipment, monitors, ventilation, TVs, beds being moved and people talking and moving. Secondly, the hard, easy-to-clean surfaces used in the construction of healthcare spaces are highly reverberant. The result is usually a lengthy reverberation time and clamorous, uncomfortable auditory environments. Studies routinely show that noisy environments have an adverse effect on hospital patients - leading to spikes in blood pressure, stress levels and general discomfort. Contact us for a free quotation or site survey. Hospital announcements can become intelligible when hard surface are prominent. 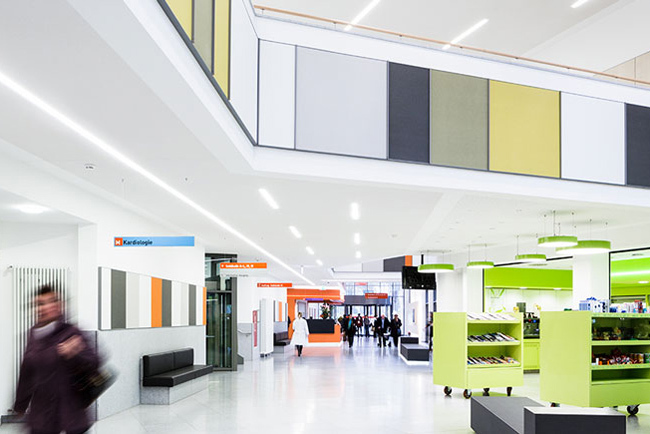 The inclusion of sound absorbing surfaces has been shown to increase comprehension of safety announcements in hospitals. 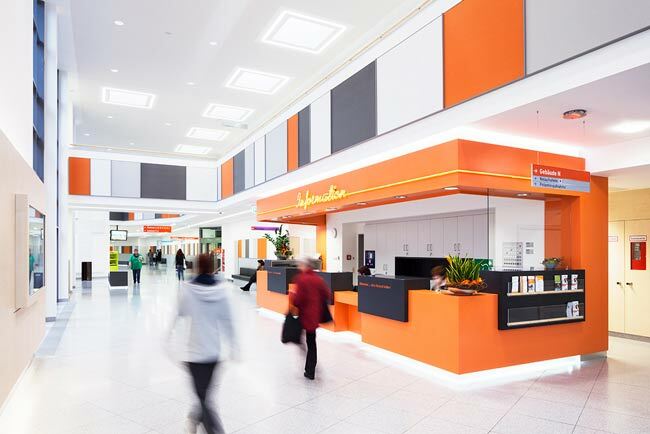 Studies routinely show that disruptive noise has a direct negative effect on the health, comfort and wellbeing of patients in healthcare practices. 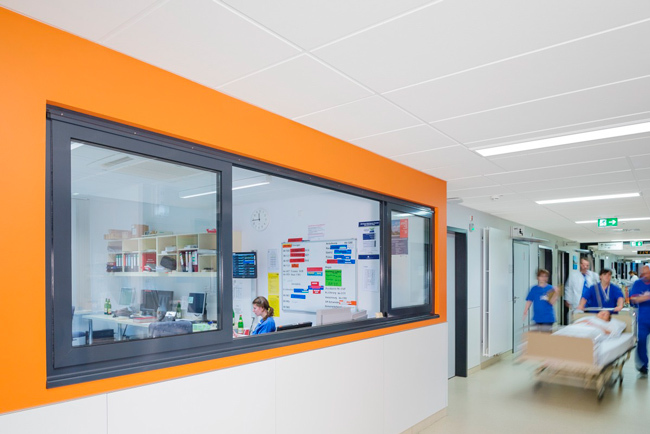 Additionally, acoustically balanced healthcare environments have also been linked to reduced stress, fatigue and distraction amongst patient care teams (PCTs). Other studies have highlighted other adverse effects of poor healthcare acoustics on patients, including sleep deprivation, higher re-admittance rates and privacy and security for patients and their families.